"We hired Robert to train 50 developers in threat modeling. This included classroom training and workshops. His approach was solid, his knowledge was relevant and his results were fantastic. By the end of the quarter we had completed threat models for each application using our low-cost in-house tools. It is easy to try to rush threat models with security knowledge, but Robert helped us realize that the developers need to own and drive and invest in the threat models. Bring in Robert if you want results. " "Robert is a very talented software development professional with expertise in security, architecture, software development life cycle, and Microsoft technologies. He consistently designed and developed strong solutions throughout his time with RSA. I really enjoyed working with Robert. He played a large role in the design and implementation of our new software development life cycle. The process that was developed works well for our group and fits our needs perfectly. Robert also assisted us with a problematic application. He was able to simplify the solution and provide a better customer experience while stabilizing the code base. I would recommend Robert to anyone looking for a top tier architect or software development expert. It was a pleasure working with him." "I enthusiastically endorse Robert. Robert is a seasoned software professional with an excellent track record of producing high quality software applications and products. It was a pleasure to work with Robert on two projects at McKesson Health Solutions. Robert was my team Leader, as well as, a strategic thinker for the direction of the products. I would be happy to work with Robert again." 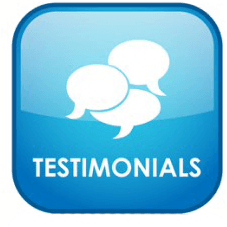 "I had the pleasure of working with Robert on a large-scale mission critical application. He is an Application level architect involved in all cycles of software development with a focus on high level system design, software integration, open source, SOA and software security. He has strong technical leadership skills and is an expert of agile methods for software development." "Robert was initially recommended by an internationally recognized .NET expert and author. He has consistently provided top-notch software design and programming expertise. He has confronted some difficult technical challenges and found elegant yet practical solutions." Testimonials taken from LinkedIn profile.